Mr. Dalton is a Vice President of 20/20 Capital Group. 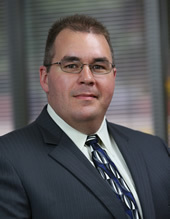 Mr. Dalton has expertise in business conception, development and repositioning. In addition, he provides the firm and its clients with his considerable skills in financial modeling, business outcome simulations, and industry and company-specific research. Mr. Dalton's professional background includes developing retail e-commerce businesses and platforms, as well as construction, manufacturing, and distribution with roles, within start-up and more developed company environments. His past roles have included hands-on work in the production, testing, and installation of various types of equipment and systems, which provides him with a qualitative understanding of the people, systems and processes involved in product and service development and commercial deployment. Mr. Dalton's quantitative experience includes developing dynamic financial models for valuation, capital raising and corporate strategy development and re-positioning. His work in data analysis ranges from incubator-level start-ups, through Fortune 500 organizations, and includes companies with both product- and service-based revenue streams. Mr. Dalton holds an MBA, with distinction, from the Katz School of Business, at the University of Pittsburgh, and a BS in Economics from the University of Pittsburgh. Mr. Dalton resides in Pittsburgh, PA with his wife, Marta.